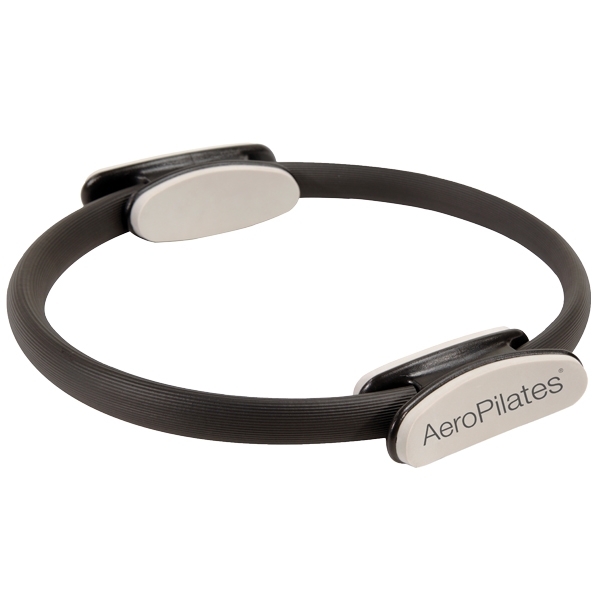 A versatile, portable Pilates aid, the AeroPilates® Magic Circle delivers targeted resistance to increase strength and endurance in the thighs, arms, chest and throughout the body. Based on Joseph Pilates' original design, the AeroPilates® Magic Circle shapes and tones your body by introducing functional resistance, encouraging the muscles to work together. The Magic Circle delivers consistent resistance due to the steel inner ring, which is covered by soft rubber for comfort. Non-porous foam pads on the inside and outside of the ring increase grip and make this Magic Circle more versatile than other rings. Available with or without the Aero Pilates workout DVD, which demonstrates a easy-to-follow progressive fitness system. DVD run-time: approx. 23 min. great piece of exercise equipment ! After learning all the ways to use the magic circle in my private Pilates sessions, I can now throw in a few exercises throughout the day in between classes and sessions at Pure Pilates! This is a great tool to develop you core for stabilization with movement !